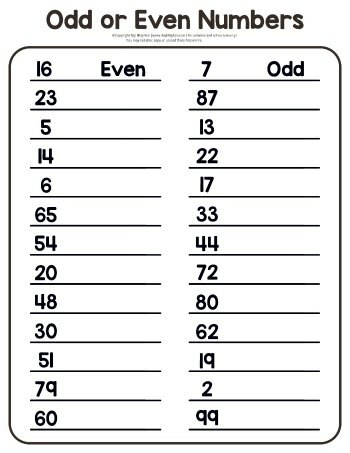 By the time a child is six years old, they should be able to recognize all of their numbers. 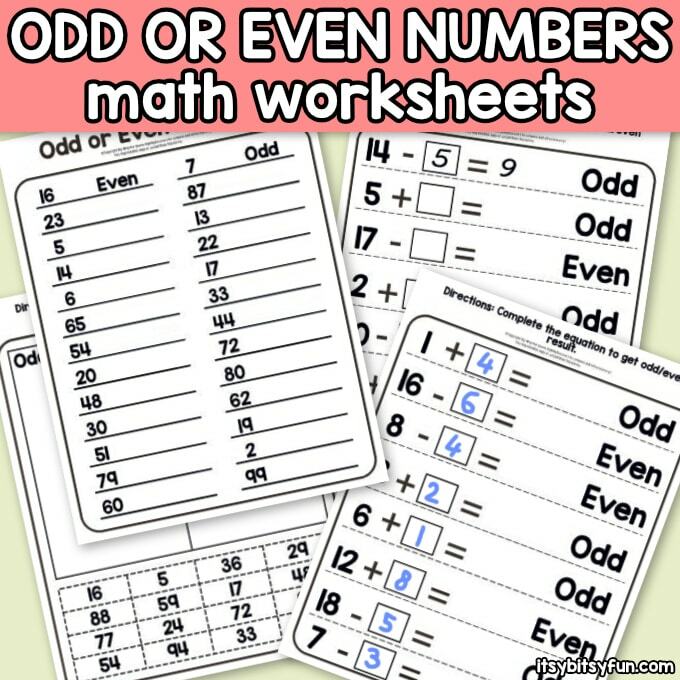 This is where you can make things interesting with kids learning the early stages of math, in particular, the odd and even numbers with these odd and even numbers worksheets for 1st grade. 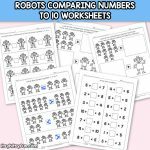 You can give the students in your class 1st grade math worksheets to really get them started on what numbers are all about. 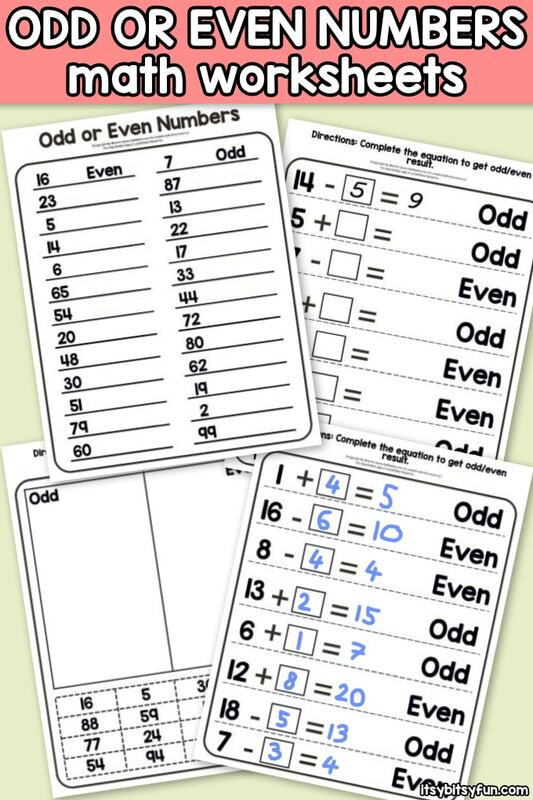 Teachers and parents can get free math printables of the even and odd number subjects by just downloading the pages and printing them out. They can be used to teach this concept in class during math time or at home for extra review to reinforce what is taught at school. 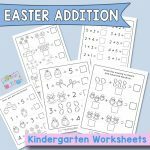 You can see that the worksheets will come having even and odd numbers with blank lines next to each one for the student to write what type of number it is, on another page they will have to cut the numbers out and glue them in the right box. On the last page they will have to complete the equation to get odd or even number for result. If you get it laminated for practice, they can use washable markers to write on it and wipe it off when finished. 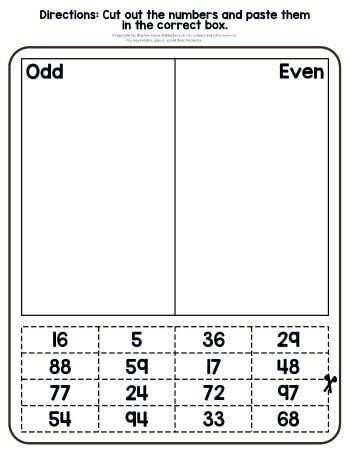 Did you know that you could make a games out of the odd and even numbers worksheets. There are 24 numbers. 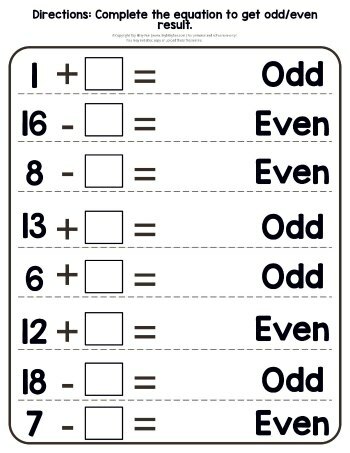 Write whether each number is odd or even. Cut out the numbers and paste them in the correct box. Complete the equation to get odd or even number result. You can time the students as they look down each list and label the numbers. Once the time is up, whoever has the most done and the most correct answers gets a prize. Your children will have so much fun. 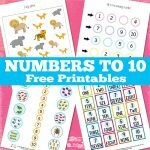 Use these printable sheets so a child can learn not only even and odd numbers but other mathematics for her age group. 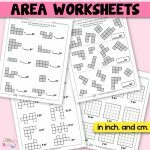 You will find that these sheets are handy for at home use when your child does not have homework, or they are on a school mandated break. 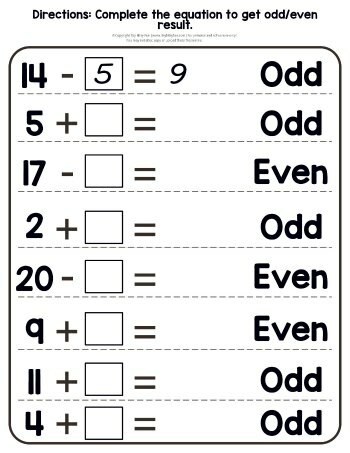 Print out the odd and even number sheets for your children or students. They will definitely have fun learning the differences between these numbers. All printables are property of Itsy Bitsy Fun (itsybitsyfun.com - formerly www.abcprintables.weebly.com) and can not be posted elsewhere online without permission. If you want to link to a project you can use 1 picture (collage, not the actual printable) with a proper link back. You are not allowed to link directly to PDF files. Photos and images from other website belong to their respective authors (they are all credited & linked) - in order to use those, check with the original author.